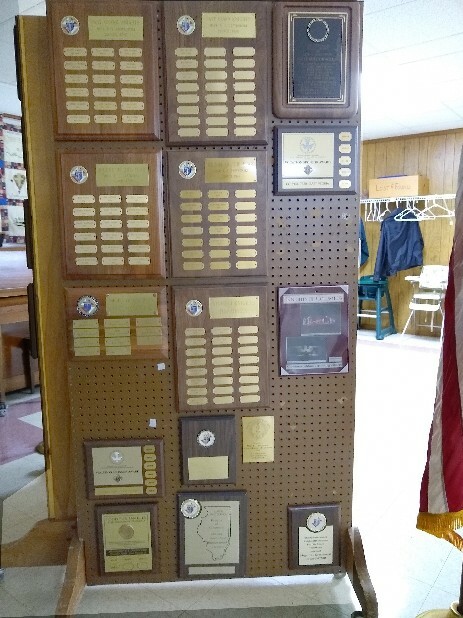 Since we share the parish hall the council keeps all of our awards in a rolling display case which is nearly full so hopefully we will be able to add another one of the same size in the near future. The following photos show the four sides of the case and a description of the awards. 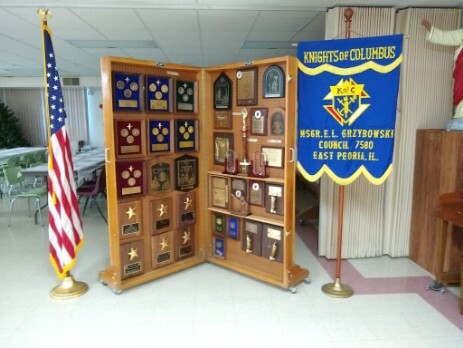 On the left side are the fifteen Star Council plaques we have earned. 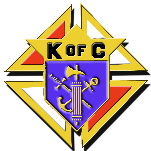 While on the right side are the Columbian and McGivney awards along with other award some of which are one time achievements either from the State Council or the local community. 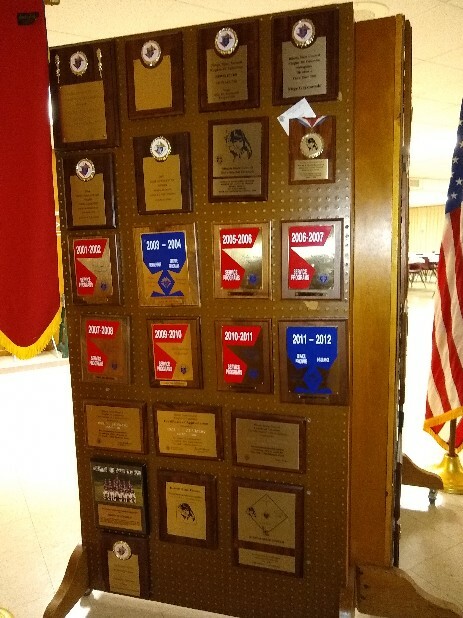 On the right side of the back are displayed plaques listing our members that have received Night of Knight awards, Knight of the Year and Family of the Year. Also there are plaques for Vocations sponsorship and participation in the East Peoria Festival of Lights. While on the left side there are five plaques for best newsletter from the State Council, Columbian and Service Awards with some including membership goals met. There are also awards for meeting the Newman Fund goal and sponsoring a Little League team.